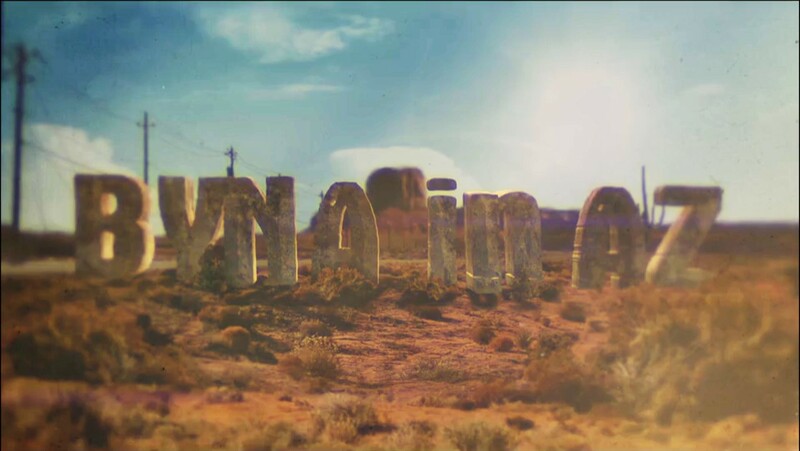 One of the most significant developments in the Hebrew Roots movement this past year has is the production of a movie that explains this phenomenon. Those who have seen The Way: A Documentary know that it is a quality production that imparts an entertaining, moving, and reasonably balanced presentation of the Torah Awakening among Christians. This debut work by young filmmakers Luke and Kayte Abaffy has had an expanding impact since its release in August 2016, and likely will receive international attention thanks to a recent screening at the Second B’ney Yosef National Congress in Israel. In this article, originally published in Torah Sisters Magazine, producer Kayte Abaffy shares her experience and idea on how to present this Torah walk to the people we care about the most – and who often are not very receptive to this message. Perhaps it is not the message that is the problem, but the manner and timing of the presentation. That is a central point Kayte makes in this honest and delightful piece. Two years ago, I was driving on the Paciﬁc Coast Highway with my husband, sparkling blue ocean to our left and golden mountains to our right, coming home to Los Angeles from a transformative conference in San Diego. Torah keepers had gathered for a weekend of learning stuff and worshipping and hanging out by the pool till 2am sharing our stories. And that weekend wasn’t just an awesome conference – it was the start of us ﬁlming for The Way documentary, and our ﬁrst real deep dive into the experiences of people walking in The Way. Even after we’d only interviewed our ﬁrst handful of people, something had already become clear: sharing your new walk with friends and family is … well … a thing. When we asked interview subjects how people reacted to their new walk (siblings, children, spouses, parents, pastors, lifelong friends), lots of interesting body language things would happen – eyes would well up with tears or dart to the ﬂoor, or there’d be a great big sigh, or laughter, or a look of searching for the right words to make a tough situation sound positive. Of course, some people’s families or friends had taken instant interest, or tried hard to understand what their loved one was learning in the Word. And some even quickly came to the same understanding. But for lots of others, the reactions ranged from cold shoulders to confusion, awkwardness to outright hostility. So how do you share your walk (and enthusiasm for the Torah) with people you love, when there seems to be so much baggage surrounding a conversation that hasn’t even begun yet? One thought that’s really helped me is to make the fruit of your life available to people who’re actually hungry. Trees that throw their apples at people are scary, like in The Wizard of Oz. But in life, a person walks by and picks an apple from the tree when they’re hungry. So often we try to jam a feast down the throat of a person who’s perfectly full. And then we’re frustrated when they don’t receive it and wonder why they resent us. But God works with hunger. And we should too. Remember what Yeshua said? “Blessed are those who hunger and thirst for righteousness, for they will be ﬁlled.” It’s hard to convince someone of how great the solution you’ve found is, when they don’t even think there’s a problem. But the great news is that there are plenty of hungry people out there, we just need to be there to minister to them! Shabbat (Sabbath) in a Jewish community in Israel is different from Shabbat at home in America. What we have experienced in Israel may be similar to what one would encounter in an American Jewish community, but it is new to us. We non-Jewish Sabbath keepers, even those of us who have been keeping Shabbat for many years, are still finding our way. What we know is that Messiah Yeshua kept it, that He taught His disciples to continue obeying the commandments, and that we want to do as He did because we love Him so much. 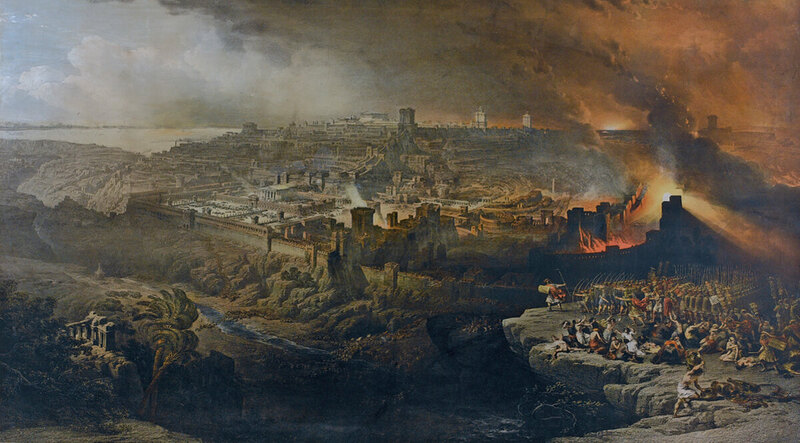 Our Christian traditions have forbidden us from keeping Shabbat ever since the days of Emperor Constantine, and many of the Jewish traditions seem to make Shabbat incomprehensibly complicated. Even so, we know that Shabbat is a bubble in time which occurs once in seven days. When we enter that bubble, we come into a place where YHVH is waiting. America continues at its frenetic pace around us, with its Saturday football games, festivals, work opportunities, soccer matches, and all the myriad other things we deemed important for much of our lives. For us that world drifts into the shadows as we turn our attention inward toward home, family, gathering with friends, and meeting with the holy, loving, and kind God Who has invited us to be still and know that He is indeed God. This is not to say that our Shabbat observance is perfect. We live in a world where Shabbat is not even a word most people recognize, nor a concept they understand. We juggle our schedules as best we can to avoid any normal business, work, travel, or other things which keep us from this divine appointment. That in itself strains relationships with family and friends who do not esteem the day as we do. Then there are the constant temptations to bend the rules: to finish that one last bit of work just after the sun sets, or to check up on the scores when our favorite teams are playing, or to compromise by meeting our non-Shabbat-keeping family at a restaurant early on Saturday evening. We do our best not to be legalistic, but to manage these competing requirements of life in Babylon while obeying our King. 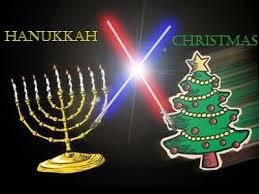 This is where we begin to identify with our Jewish brethren. They have been living this balancing act for millennia, and it is logical that we look to them for inspiration. Thus we have come to Gi’vat Ye’arim, not even knowing that we have come here for reasons the Almighty had determined before we even heard of the place. A pendulum swing is taking place in the Hebrew Roots movement in America. 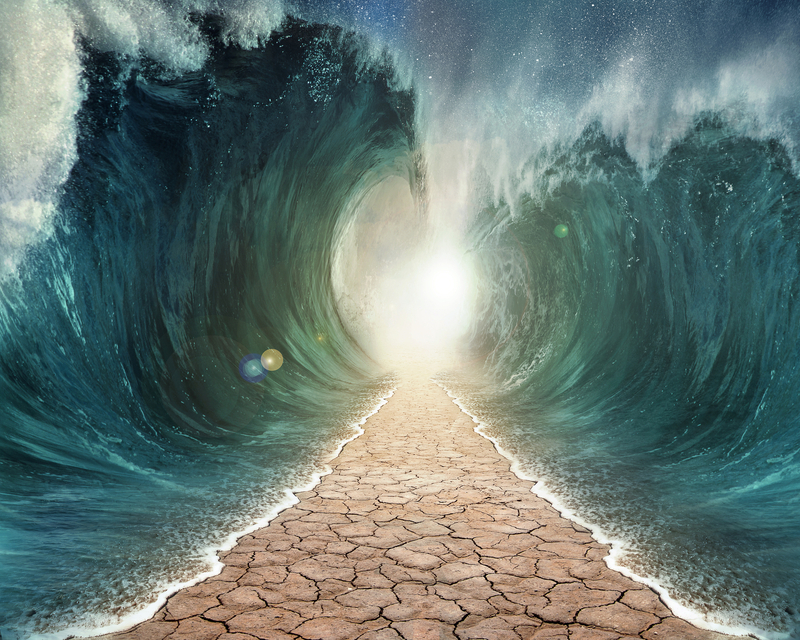 Many followers of Yeshua haMashiach (Jesus Christ) who have sought to embrace the Torah walk He modelled have moved beyond traditional Christianity. In practical terms, that means they have left the organized church in its various denominations and moved into something that looks sort of Jewish (as in keeping Sabbath and observing the biblical Feasts), but retains faith in Yeshua as Messiah. Now that this process has been going on for almost a generation, many are beginning to wonder if we might have left some very important things behind in the church. Things like fellowship, unity, brotherly love, and the Holy Spirit. This does not necessarily mean that Messianic and Hebrew Roots believers are ready to return to the church, but rather that we are beginning to realize the same thing about Christians as we have come to understand about Jews: the things we hold in common are far more numerous and more important than the things which divide us. Consequently, Hebraic believers are now reexamining once again what they believe, taking steps to mend broken bridges and restore precious things which we may have jettisoned too quickly in our zeal to put distance between ourselves and the traditions of man. Hebraic believers with backgrounds in the Pentecostal or Charismatic branches of contemporary Christianity understand this question in regard to the Holy Spirit (Ruach HaQodesh). At first glance, the Torah observant lifestyle does not seem compatible with what is generally believed to be the gifts and manifestations of the Spirit. Yet a deeper study of the Person and purpose of the Spirit reveals something astounding: living by Torah is impossible without Him. We believe that these gifts were ignored, tossed away, changed or otherwise corrupted just as the feasts and the sabbaths were. . . All of the gifts of the Spirit are from the beginning and all of them are a testimony and revelation of the end. What follows is a thorough examination of the Holy Spirit from a Hebraic viewpoint. Starting with Genesis 1 and moving forward through the Scriptures, Jones establishes two very important points. The first is that the Holy Spirit is YHVH God, nothing less. This may seem contrary to the common Jewish understanding of echad, or one, which for centuries has held that God is an indivisible entity – One and only One. That is not necessarily the sense of the Shema, the watchword of Judaism and Hebraic faith, which states, “Hear, O Israel: The Lord our God, the Lord is one!” (Deuteronomy 6:4 NKJV) Jones explains that echad in that verse and elsewhere in the Bible means, “’one’ as something that is unified as one, not necessarily only.” In other words, “the One True God is in perfect unity as one.” Therefore, He can express Himself in multiple ways and still be the same YHVH. We see a common theme throughout all of Scripture in testifying concerning a “spirit-filled” man of YHVH. This testimony is three fold, it consists of: wisdom, knowledge and understanding. Looking at many of the great people of faith, we can see these three things being shown in their lives. In his examination of Scripture, Jones illustrates these three elements of wisdom, knowledge, and understanding evident in every move of the Spirit in both the Old and New Testaments. He makes his most powerful argument in presenting the parallels between the giving of the Torah at Mount Sinai, and the outpouring of the Spirit at Pentecost. What he reveals is the continuity of the Holy Spirit’s work in the people of YHVH, both before and after the coming of Messiah Yeshua. This is perhaps the most powerful and greatest contribution of Jones’ work. It is an understanding that neither traditional Christianity nor traditional Judaism could uncover in that both of them start with the perception that they are separate entities rather than two expressions of the same covenant-keeping YHVH. It takes a Hebraic believer, with an appreciation of both the Christian and Jewish perspectives and an understanding of the Old and New Testaments, to grasp this essential truth. Yet he does not stop there. In the latter chapters, he investigates those controversial questions always present in discussions of the gifts of the Spirit. How are we to account for and deal with such things as the gifts of prophecy and tongues? What role do they and other gifts play in the life of a Hebraic follower of Yeshua? What have we missed by avoiding them? What do we gain by embracing them in the context YHVH intended all along? Jones does well in addressing these questions. The answers he provides may not be complete, but they are an essential component to this ongoing discussion of how the power of the Holy Spirit is to be evident in the lives of YHVH’s people. The Restoration and the Gifts of the Spirit is a much-needed work on a component still lacking in Messianic/Hebrew Roots understanding of the Scripture. It is also a powerful addition and enhancement of the Christian and Jewish treatments of the subject. David Jones has done a great service to the believers of all traditions by his balanced and scholarly investigation of the Spirit of the Living God. The Restoration and the Gifts of the Spirit is available through Ruach International Ministries, and on Amazon.com. Many dry bones lie scattered across Tennessee. Tens of thousands of them found their resting places during the tumultuous years of the American Civil War. Perhaps it is fitting, therefore, that Tennessee served as the place where the dry bones of the House of Yosef (Joseph) began to come back to life in North America. This is a prophesied event, of course. 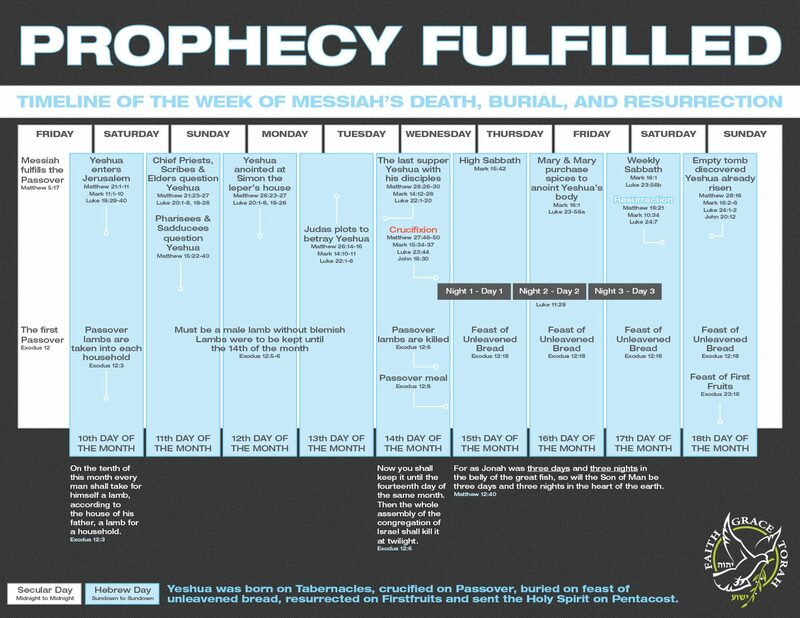 More accurately, it is a prophesied process – the single greatest topic of prophecy in the entire Bible. Israel, the nation Almighty God established in covenant with Abraham, Isaac, and Jacob, split into two pieces and died many hundreds of years ago. Judah, the part of that nation which we know now as the Jewish people, retained knowledge of its identity, and in 1948 returned to life as the State of Israel. The other part of the nation, however, has never come back to life. On December 4, 2015, the B’Ney Yosef Region 35 Conference convened at Camp Copass in Denton, Texas, for the purpose of bringing together people in the central part of the United States to seek YHVH’s direction about His Kingdom work at this time. The initial concept was to continue in the spirit of the First B’Ney Yosef National Congress in the interest of building Ephraimite (Israelite) identity among believers in Messiah Yeshua. The Holy Spirit quickly expanded that concept into a call for repentance within the Hebrew Roots/Two House movement and reconciliation with other parts of the body of Messiah, particularly with our Christian brethren. That was the motivation for this address which opened the conference. The best boss I ever had was the man under whose supervision I served the last time I was in Iraq. He was also the most profane man I have ever met. The name of Jesus Christ was for him but one weapon in a formidable arsenal of expletives. Not a single day passed that some outrage did not fall from his lips, causing my ears to burn and my heart to wonder how long I would have to endure such offense. And yet I continued in his service, not merely because I had no choice (both of us, after all, were soldiers assigned to serve together), but because God gave me grace to look beyond the offense to see and benefit from the substantial qualities he possessed. Those qualities included an encyclopedic knowledge of intelligence functions and procedures based on decades of hard experience. He possessed as well a dogged determination to persevere through all opposition and achieve success in whatever goal he or his superiors established. 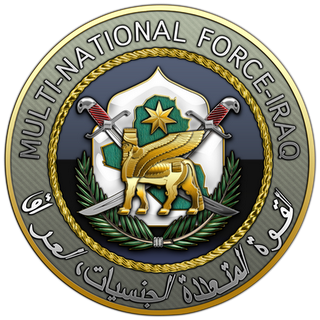 That determination sprang from his undying loyalty to the United States of America, and to his belief in the ultimate good of our mission in Iraq. Yet none of that would have mattered in the least had this man lacked the greatest quality of all: he regarded every person as having intrinsic value, and as a potential ally in achieving the goals set before him. He may have spoken roughly, and even in private moments vented his frustration and anger, but he never diminished the value of the human beings in his charge, nor of those under whom he served. We had occasion to work with military and civilian officials from a number of services and agencies. Whether they were Army like us, or Marines, Air Force, or Navy, they were all “great Americans” in my boss’s opinion – if for no other reason than because they had volunteered to wear the uniform and be deployed to a Middle Eastern war zone. He could not call our British, Australian, and German colleagues “great Americans”, but he did hold them in high esteem – while at the same time recognizing that the highest priorities for each of them were the interests of their own nations, not those of the United States. The true professionals among us, regardless of nationality, recognized this. We knew that at times there would be questions we could not ask and answers we could not give, but whenever and wherever possible we helped one another. That “great American” description did extend to the civilian intelligence professionals we encountered. Those men and women represented nearly all of the 16 agencies of the U.S. Intelligence Community. 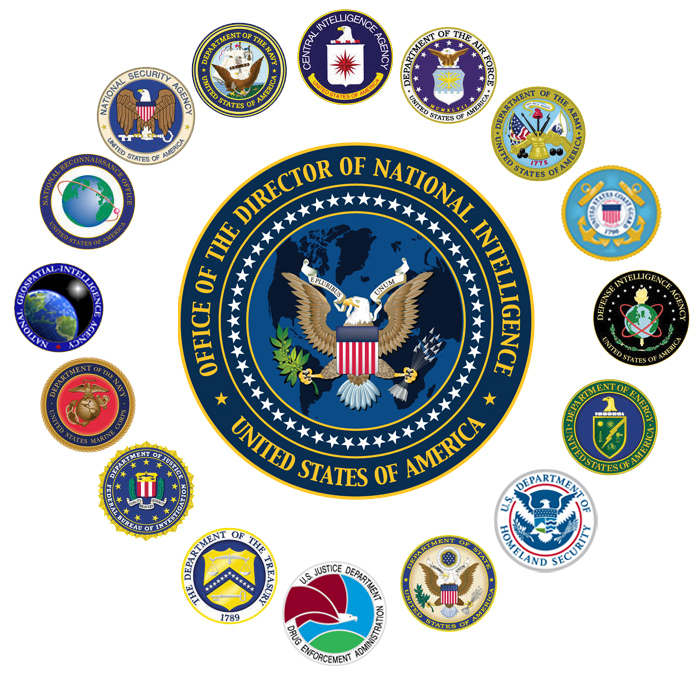 The ones you would expect were all there: each of the agencies of the military services, the Defense Intelligence Agency (DIA), the Central Intelligence Agency (CIA), the National Security Agency (NSA), the National Geospatial Intelligence Agency (NGIA), the Federal Bureau of Investigation (FBI), and the State Department. Our office dealt mostly with the CIA, whom my boss lovingly called, “Klingons”. Like our foreign counterparts, they, and all the other intelligence agencies, had their own priorities which were not necessarily the same as ours in the Department of Defense. Their vision of how to support the national interests of the United States sometimes clashed with ours, and the means and resources at their disposal often put them at an advantage over us. We had much reason to distrust them, but we had even more reason to work with them – just as the Start Trek heroes found reason to cooperate with the Klingons to defeat their common enemies. We laugh at the description of the CIA as Klingons, but long before I arrived in Iraq I understood exactly what my boss meant. Early in my tenure in Washington, DC, I had occasion to work with the CIA on a joint project. Most of the people with whom I worked were intelligence analysts, people not very different from myself. They were well educated, often from privileged backgrounds, highly academic (a reflection of the CIA culture), and professionally courteous. As part of our project we had to consult with a different type of CIA employee. This person was not an analyst. Intelligence analysts look at information from various sources and put it together in different ways to understand what it means. They are the friendly face of the CIA. There is another face, however, and it is not very friendly. That face belongs to the operators, the men and women who go about the difficult business of collecting the information. They are consummate professionals, very good at what they do, but they are not the kind of people you would want in your social circle. Quite often the name by which they introduce themselves is not the name their parents gave them at birth. In the course of their duties they will have to do some questionable things, and perhaps even some very unpleasant things, to acquire information their agency has commissioned them to gain. This was the kind of person with whom we met in that office on the CIA campus in Langley, Virginia long ago. He was an impressive man, and one whom I admired for his courage and devotion to his country. I could tell without asking that he had suffered much personal loss in service to the nation, and that my own poor service paled in comparison to his. Yet we could not be friends, and we would have difficulty working together as colleagues. His world was one I could not enter, and my world was one he would not find comfortable. Nevertheless, my work could not continue without him, and without me his work would have no meaning. That is why I have never forgotten the man, although our paths have never crossed since that day. What would happen if this vast intelligence community in the service of the United States of America ceased to function as designed? What if the various individuals and organizations within it forgot that they were all Americans, and instead placed their own personal agendas, or the name and reputation of their own agencies and services, above the interests of the country? That is not a rhetorical question; I can tell you what would happen. I have seen it. What happens is a fragmentation of the national intelligence establishment. For the most part that establishment consists of good, honest people trying to do the best they can with limited resources and time. They have a tendency to focus exclusively on the work right in front of them, whether it is office administration, counterterrorism analysis, national technical means of information collection, the number of tanks in the Russian Far Eastern Military District, or poppy production in Afghanistan. They forget that there is a wider world out there, and that their work is but one small piece in a very, very big puzzle. It does not take much to convince them that their piece is the most important. Once convinced, it is but a small step toward competing with others to gain a greater share of attention and resources. Having entered that arena, it is nothing to begin pushing others aside in ever more aggressive ways, taking resources and people away from them so that one’s own piece of the puzzle grows in size and importance, and the competitors’ pieces shrink, or disappear altogether. In time the picture that emerges is distorted at best, magnifying certain things to the extreme, diminishing others, and ignoring important bits that would otherwise tie together the seemingly contradictory reports from various sources. That is the picture which goes before high level decision makers like the commanders of our forces in the Middle East, and even the President himself. Is it any wonder, therefore, that we have national disasters such as the terrorist attacks of September 11, 2001? My lesson from this should be clear. National defense is a team effort. I know my part of the effort, and my job is to do it to the best of my ability. I do not know most of the millions of others involved in the effort, nor do I understand what they do. I could not do what most of them do, nor could most of them do what I do. Very few of them could be considered my friends, and most of them would probably never want to associate with me anyway. Nevertheless, we need each other: every warrior, every clerk, every mechanic, every technician, every lawyer, every cook, every aviator, every logistician, every sanitation worker. If we do not find a way to cooperate, then this living, breathing organism we call the National Defense Establishment will fail, and with its failure the United States of America fails. Is this any different from the living, breathing organism known as the Body of Messiah? As with all good spy stories, the 1968 movie adaptation of Alistair MacLean’s Ice Station Zebra does not reveal the full truth until near the end. All we know at the beginning is that a US Navy submarine is on a mission to rescue British scientists trapped at a weather station on the Arctic ice pack. We realize something unusual is afoot since the boat’s captain, James Ferraday (played by Rock Hudson), has been ordered to take aboard not only a platoon of Marines, but also a British Intelligence officer who goes by the name Jones (Patrick McGoohan). 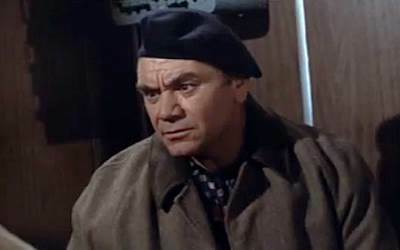 At sea they are joined by Boris Vaslov (Ernest Borgnine), a Russian defector. After an act of sabotage nearly destroys the submarine, Captain Ferraday confronts Vaslov, asking why he should not believe him to be the saboteur. Vaslov responds, “That should be obvious, Captain. I was born a Russian, but I chose my side out of conviction, not by accident of birth.” Jones vouches for him, and the mission continues. The Russians put our camera made by “our” German scientists and your film made by “your” German scientists into their satellite made by “their” German scientists, and up it went, round and round, whizzing by the United States of America seven times a day. Just as the film canister is discovered, a force of Soviet paratroopers lands near the ice station. Their mission, of course, is also to recover the film canister. It is at that point that we learn Vaslov’s convictions are not as strong as he would have others believe. He assaults Jones and reveals himself as a double agent whose real intent is to assist the Soviets in recovering the film. As the American and Soviet forces engage in a firefight, Jones kills Vaslov. The fighting ends when the hopelessly outnumbered Americans agree to surrender the canister, but then succeed in destroying it by a final act of intrigue. Having no further reason to remain in conflict, both sides withdraw, leaving the body of the treacherous Vaslov on the ice. The people of YHVH should be paying attention to the signs of the times. We are indeed on the brink of major changes to the world system, and these changes likely will involve a combination of economic, military, political, and civil unrest, with a few major natural disasters thrown in for good measure. It is, after all, the end of the Shemitah, the seventh, or sabbatical, year in the seven-year cycle the Lord explained to Moses (Exodus 23:10-12; Leviticus 25:1-7; Deuteronomy 15:1-6, 31:9-13). It is also the time of the fourth Blood Moon of the tetrad we have seen at Passover and Tabernacles over these last two years. What, if anything, are we to do about all of this? Happily, there is someone who has undertaken the task of answering that question in a rational, systematic fashion using principles derived straight from the Bible. We can thank people like Rabbi Jonathan Cahn and Pastor Mark Biltz for bringing the Shemitah cycle to the attention of the world. Now we can thank Barry L. Miller for helping us understand how to live within that cycle. That is the message of his book Know the Time, Change Your World: The Reappearance of the Seven- and Fifty-Year Biblical Cycles. 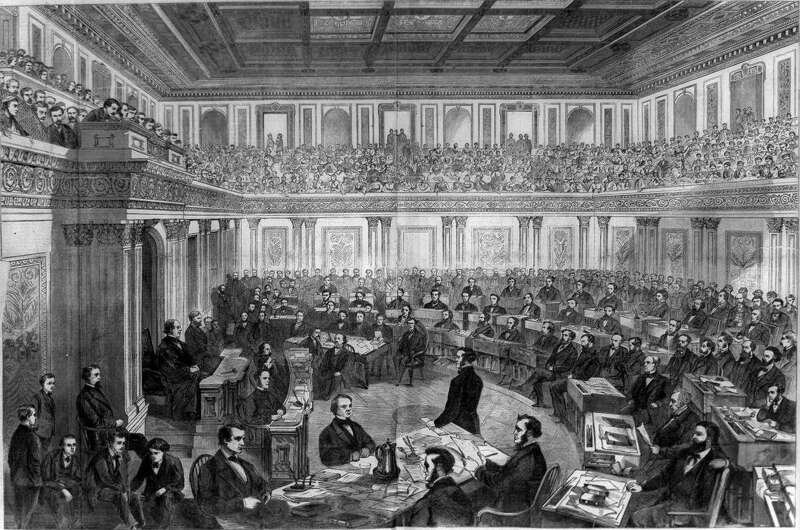 “The Senate as a Court of Impeachment for the Trial of Andrew Johnson”, by Theodore R. Davis. Illustration in Harper’s Weekly, April 11, 1868. And that is all they have to say on the matter – which is why jurists for nearly 230 years have debated exactly what they meant. The Founders certainly understood the seriousness of the question. They had just gone through a lengthy and painful process of removing King George III as head of state over the American colonies by the extreme measure of extricating the colonies from the king’s domain and establishing a separate sovereign nation. Their attempts at less drastic measures had not sufficed, leaving them no option but the usual method of war and upheaval. That is why they sought to limit the power of the president, providing a method of removal by legislative and judicial means. The grounds for removal would have to be well established, which is why the Constitution specifies the obvious transgressions of treason and bribery. But what exactly are “high crimes and misdemeanors”? This is where it gets interesting, and frustrating to those who desire to remove an incompetent, unpopular, or abusive president. The Founders sought not only to prevent abuse of power in the Office of the President, but also to protect the dignity of the office and ensure continuity of government. Succeeding generations have understood this, which is why only three presidents have been the subject of impeachment proceedings. President Richard Nixon resigned before Congress could vote on articles of impeachment for his abuse of power. Had he not done so, it is likely he would have been the only president ever removed from office. Congress did impeach Presidents Andrew Johnson and Bill Clinton on charges stemming from their obstruction of Congress and abuse of power, but acquitted both men – not because the charges were unfounded, but because of the political motivations behind the impeachment proceedings. Under such circumstances, their removal would have brought immense harm to the Office of the President and its foundation in the organic law of the United States. One might wish that the Founding Fathers had been more specific in the standards they expected of people holding high office. Then again, how much more specific did they need to be in a Christian culture based on the rule of law derived from the Bible? Their understanding of God’s requirements for public leaders shaped their creation of the Government of the United States, leading them to do as YHVH did: provide just enough detail to establish wise government under the principles of justice and mercy.